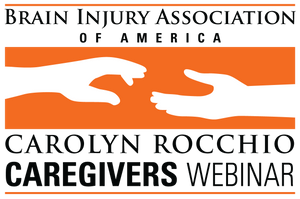 A Carolyn Rocchio Caregivers recorded webinar featuring Ethan Kichura, Caitlin Schlauch, and Erin Borges, May Center School for Brain Injury and Related Disorders. Aired live March 3, 2016. How to asses tools for appropriateness to the learner's needs, abilities and cognitive functioning. How to adapt interaction with apps to compensate for issues such as motor planning, vision, and loudness/softness of voice. How to judge when to advance to other programs that use higher order thinking and planning. Examples of specific apps that can be useful for planning and organizing, assisting with remembering and carrying out tasks and apps that help improve performance at school and improve social lives. The presenters also discuss a case study illustrating how apps improved a survivor’s function and quality of life.